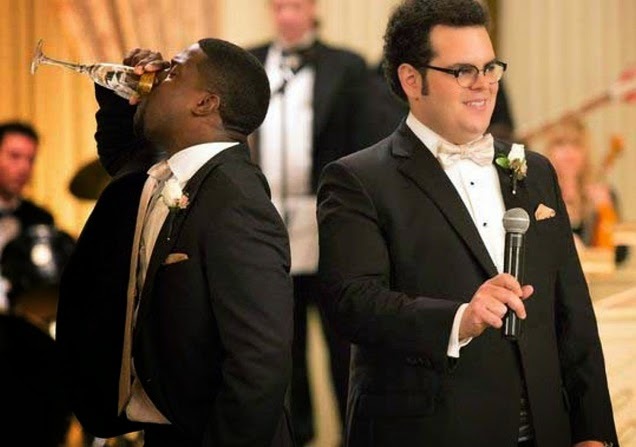 In what is essentially Wedding Crashers mixed together with heavy doses of I Love You, Man, The Wedding Ringer is exactly the sort of manic, slightly convoluted, but ultimately entertaining buddy comedy you would expect Kevin Hart to be at the head of. As Jimmy Callahan, the head of Best Man Inc., he makes his living offering his services as Best Man to men who don't have the friends necessary for a wedding. When the totally friendless Doug (Josh Gad) asks him for the fabled 'Golden Tux' package, which involves filling out the entire grooms party with strangers, Jimmy reluctantly agrees. That set up is out of the way pretty quickly, making room for the chaos that follows. The Wedding Ringer is the type of movie where laughs trump plot, quirky characters are the order of the day, and dogs interact with male body parts they really should not interact with. 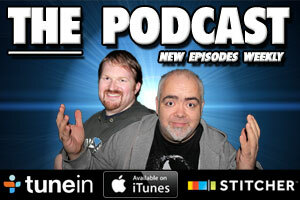 But it is also a hell of a lot of fun, and that is down to the central pairing of Gad and Hart. It is the sort of bromantic comedy we have seen time and again, but the lead pair spark off each other so well, their shared charisma carries much of the movie. In fact, they work so well together, Doug's fiancee Gretchen (Kaley Cuoco-Sweeting) seems like an afterthought, not really figuring into the plot much beyond throwing up the odd stumbling block to Jimmy and Doug's plan. The rest of the supporting cast, mainly Doug's rag tag bunch of grooms men, fare slightly better, providing a good share of the laughs with party tricks designed to distract the other wedding guests if their cover is close to been blown. The Wedding Ringer does take it's time to get up and running, but once Jimmy and Doug's scheme gains momentum, the jokes come thick and fast. They are slightly on the low brow end of the scale, the previously mentioned canine encounter and Gretchen's grandmother catching fire (becoming a sight gag later on) being the two major highlights, but it's constant stream of prat falls, gross out humour, and slapstick will still make you laugh, even if it's a constant chuckle. The story does struggle under the weight of it's admittedly ludicrous plot (it expects you to take a LOT of things with a pinch of salt, not least why Gretchen doesn't question why she never met Jimmy, using the alias Bic Mitchum, before), especially in the second act, where it seems more concerned with Jimmy and Doug's antics than getting on with the story. You can almost see the point where writers Jay Lavender and Jeremy Garelick (also director) realised they had to resolve the story, signposting future plot points, and manufacturing conflict out of thin air to keep the movie ticking over. But it all comes together quite satisfactorily in the third act, but that's down the Gad/Hart double act coming to the rescue again. It won't be hailed as the greatest comedy ever, but The Wedding Ringer is still an entertaining romp that does it's best to make you laugh and keep you laughing, succeeding most of the time.